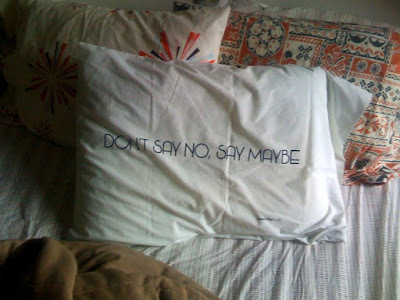 I love that "Don't say no say maybe" pillowcase. Where's it from? oh dudez, i totally have that sheet set with the color starbursts malarky! 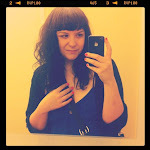 man, i am mostly just proud of my pillowcase scores but damn girl, i'm coveting in a baaad way.